Washington Square Press, 9781439121986, 400pp. 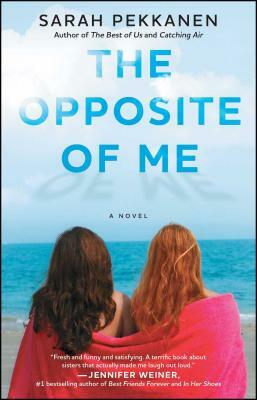 A "fresh, funny, and satisfying" (New York Times bestselling author Jennifer Weiner) about the complicated bonds of sisterhood. Twenty-nine-year-old Lindsey Rose has, for as long as she can remember, lived in the shadow of her ravishingly beautiful fraternal twin sister, Alex. Determined to get noticed, Lindsey is finally on the cusp of being named VP creative director of an elite New York advertising agency, after years of eighty-plus-hour weeks, migraines, and profound loneliness. But during the course of one devastating night, Lindsey’s carefully constructed life implodes. Humiliated, she flees the glitter of Manhattan and retreats to the time warp of her parents’ Maryland home. As her sister plans her lavish wedding to her Prince Charming, Lindsey struggles to maintain her identity as the smart, responsible twin while she furtively tries to piece her career back together. But things get more complicated when a long-held family secret is unleashed that forces both sisters to reconsider who they are and who they are meant to be.